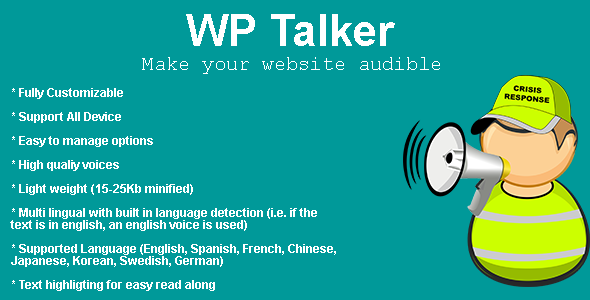 WP Talker is a amazing wordpress plugin that’s enable your wordpress blog or woocommerce shop to talk like a human. It can increase your woocommerce sale like a magic. You can change text highlighting on or off, text interaction on or eff, highlight background, highlight text, hover & other settings & by using the options of this plugin.